Or to put it metaphorically, when life gives her lemons, she makes tequila and bites down hard on the peel. Screw the salt. Nanci Griffith recorded her marvelous new record, her twentieth, at her home studio in Nashville. She employed her long time friends Pete and Maura Kennedy and Pat McInerney as both her coproducers and band (the couple sing and play guitar, while McInerney handles the drumming). The intimate nature of this album result from the combination of these elements. Griffith presents her deeply felt personal secrets and political fears to sing and cover songs that come from the heart without shutting off her brain. 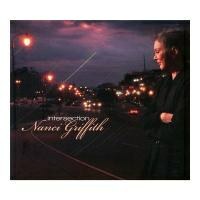 The Griffith of Intersection offers a warm but critical eye on the past with a sense of living in the present moment. Or to put it metaphorically, when life gives her lemons, she makes tequila and bites down hard on the peel. Screw the salt. Consider the rockabilly romp, “Bad Seed”. Griffith tackles the subject of a Texas girl unloved by her father (which considering her biography, could be herself). She turns the pain into inspiration to rave on and celebrate her nastiness. This is conveyed more in the tone of her voice than in what she says. Relatedly, Griffith has never sounded more like a rural Texas child than on this record. When she sings about “Robert DeNiro will never run nekkid agin” on “Bethlehem Steel”, the listener is more shocked by the rawness of her accent than the lewd sentiment. Songs like “Bad Seed”, “Bethlehem Steel”, “Never Goin’ Back”, and “Davey’s Last Picture” are explicitly concerned with earlier events. While she did not write all of the aforementioned titles, her performances tie them together in a common sensibility familiar to her fans: Living ain‘t easy. After all, she had success with “It’s a Hard Life Wherever You Go” back in 1989. This time she is just as explicit, as she sings “I have had a hard life, and I write it down“ on the title track. This could serve as the album’s motto. Griffith dwells in the present rather than nurses old wounds. She’s not shy about expressing her thoughts and feelings. “Hell No (I’m Not Alright)” she defiantly sings on the song of this name. On this and other songs, such as “Stranded In the High Ground”, Griffith acknowledges the problems of standing for oneself. You can end up alone with nowhere to go but down. But as her rendition of Ron Davies' “Waiting on a Dark Eyed Girl” suggests, Griffith knows the dangers of not taking any action. So if one should not go back and moving forward can make things worse, what’s left? The answers can be found in two of the best cover songs on the album, Blaze Foley’s “If I Could Only Fly” and Loretta Lynn’s “High on a Mountain”. Both songs preach the wisdom of having a higher perspective. In Foley’s case, Griffith turns the desperate yearning into a manifestation of Beat holiness. She transforms Lynn’s country clichés into folk wisdom through her expressive singing about being “high on life and rich in love”. And then there is the one cover version of herself, as Griffith redoes her 1991 composition, “It's Just Another Morning Here”. She originally recorded the song sweetly with harmonies by Phil Everly. This time she plaintively notes that each day is a miracle that we take for granted. But she conveys the dual perspective that acknowledges that while life itself is a wonder, living day today can be a soul crushing experience. The latter part was always in the song, but now it is emphasized equally. We exist at the intersection where pleasures and perils meet. Griffith’s music enriches our existential experience.